There are currently 254 people online. Dell refreshed its lineup with new 14, 15 and 17-inch XPS laptops, these systems feature backlit keyboards and an enclosure with lots of anodized and brushed aluminium. Prices start at $889, $849 and $949, respectively. The 14, 15 and 17-inch Dell XPS laptops start at $899, $849 and $949 respectively, with decent specs even at those configurations: an Intel Core i5 460M CPU, Nvidia GeForce 420M graphics with Optimus, 500GB 7,200rpm hard drive, and 4GB of RAM. 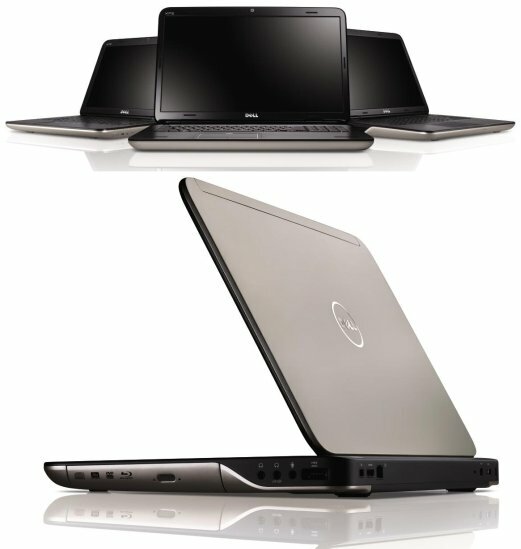 Processors range up to a Core i7 840m quad-core, and GPU options top off at an Nvidia GeForce GT 445M with 3GB of memory. The internal specs grace the higher end on both performance and media, focusing on a number of bells of whistles. An integrated HD webcam (2.0 megapixel) offers 1,280 x 720 Skype-compatible webchat - according to Dell this is the first HD streaming webcam in a laptop. Speakers co-developed by JBL and Waves promise audio quality equal to HP Beats-edition Envys. A USB 3.0 port accompanies the assortment of USB 2.0 ports, one with eSATA. HDMI 1.4 is also included, which enables 3DTV-compatible output of games, Blu-ray content or other videos via Nvidia 3DTV Play software.